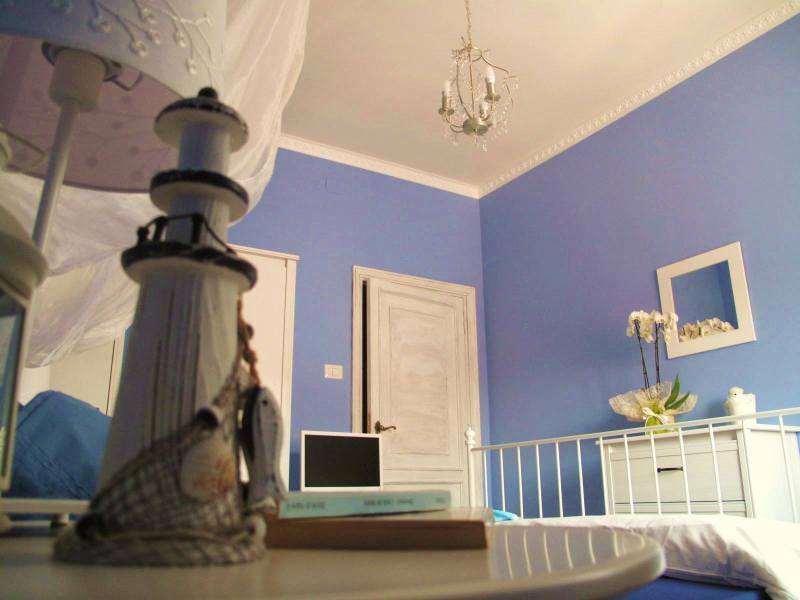 Il Faro di Alghero (“The Lighthouse of Alghero”) is a charming bed and breakfast, located in a strategic position of the city of Alghero, 5 minutes walk from the picturesque Old Town , and two minutes from the beautiful beach of Lido and the sea. 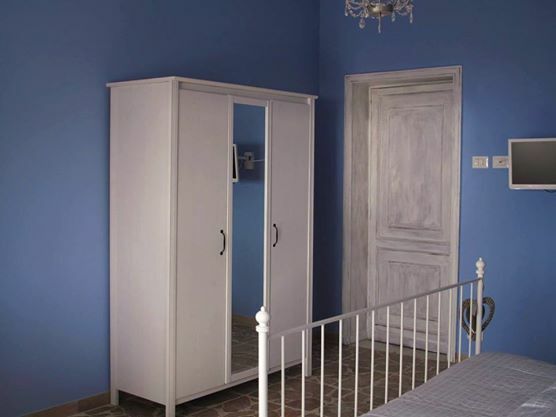 The newly renovated apartment is on the top floor of an elegant building with three levels, directly overlooking the sea: two of its three rooms have in fact a wonderful view of the sea, the Gulf of Alghero, panorama that characterizes the beauty of this cities and fascinates every year all its visitors. 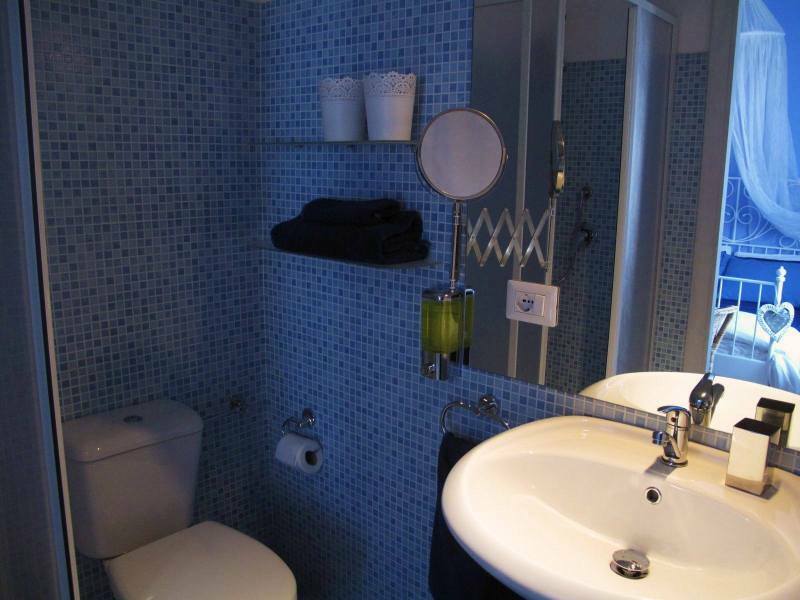 The rooms are tastefully furnished, bright and designed to create a relaxing and harmonious ambient. 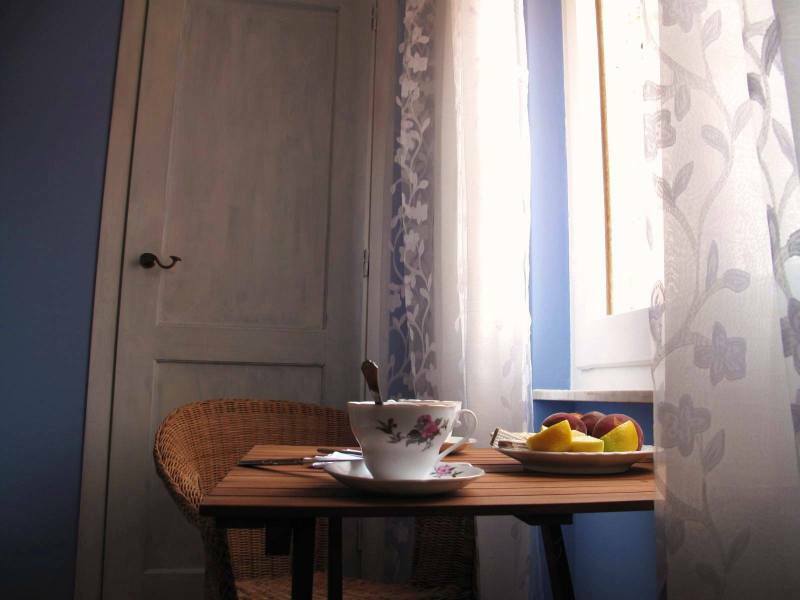 All are equipped with bed double, air conditioning, TV, sea towels, private bathroom with shower complete with hair dryer, bamboo fiber towels, and detergents made with biodegradable ingredients; all the customers have also water and a small corner with a kettle and a selection of tea and coffee to accompany their moments of relaxation in the bed and breakfast. 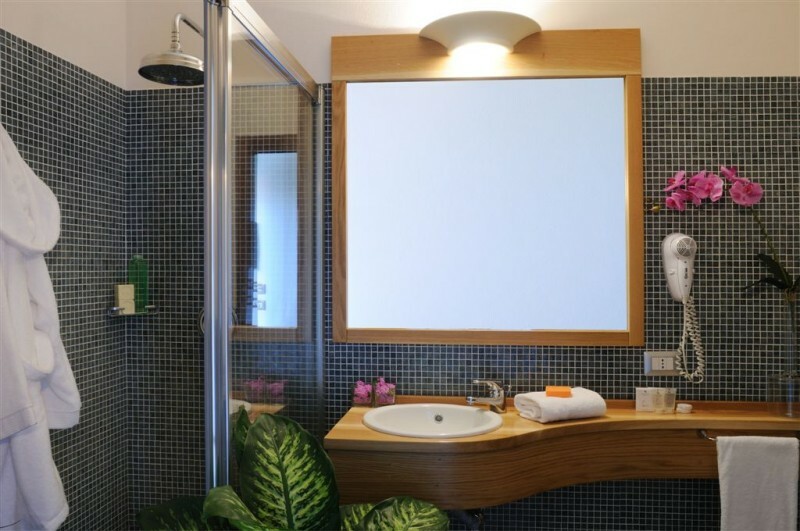 In addition to the sea view rooms, we offer our customers the opportunity to experience unique: “The Lighthouse of Alghero” was in fact born to unite the tourist needs the attention to the principles of sustainability. We are committed to adopting simple, but effective ways to reduce the environmental impact in our small and improve the comfort of our guests; from design to furnishings and the study of the details, until the approach with customers and the use of services , we have always tried to formulate ideas that communicated with the environmental and ecological purposes. Every morning our customers can taste a breakfast made up a selection of seasonal produces exclusively organic and / or mileage zero: coffee, tea, cappuccino, fresh juices, cakes of the day, croissant, bread, butter, selection of jams and fresh fruits. 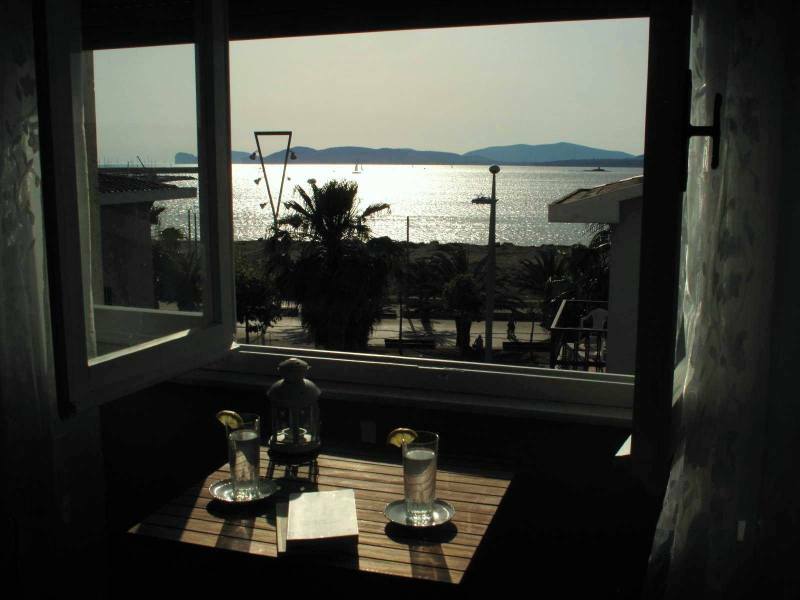 Very close from our Bed and Breakfast you can find supermarkets, restaurants, shops and bus stops to the best sights out of Alghero, like beaches, protected areas and beautiful places to relax during your holiday in Sardinia. 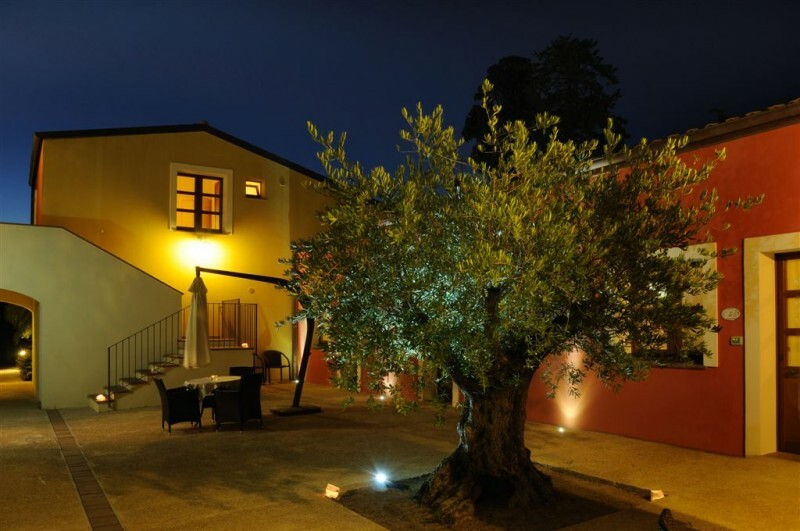 In a beautiful valley of the Mediterranean sea in Alghero, Sardinia, there is the “Alghero Resort Country Hotel”, an old convent of 17th century, completely renovated and transformed in a cosy and friendly 4****Hotel. 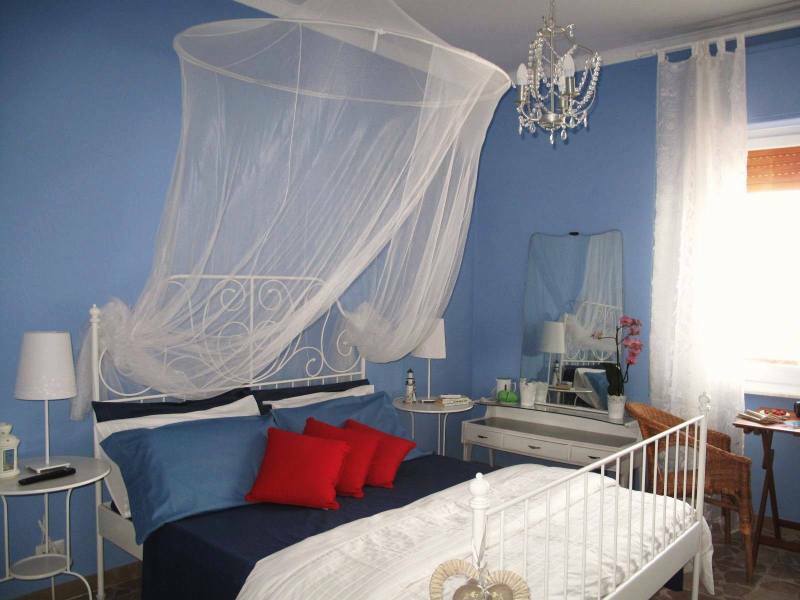 The property has 22 comfortable rooms : 11 double Classic, 8 Deluxe rooms, 1 Junior suite and 2 comfortable Suites. All of our guest rooms and suites are fitted with latest-generation air-conditioning systems, which can be easily adjusted by guests to create a customized and comfortable micro-climate. 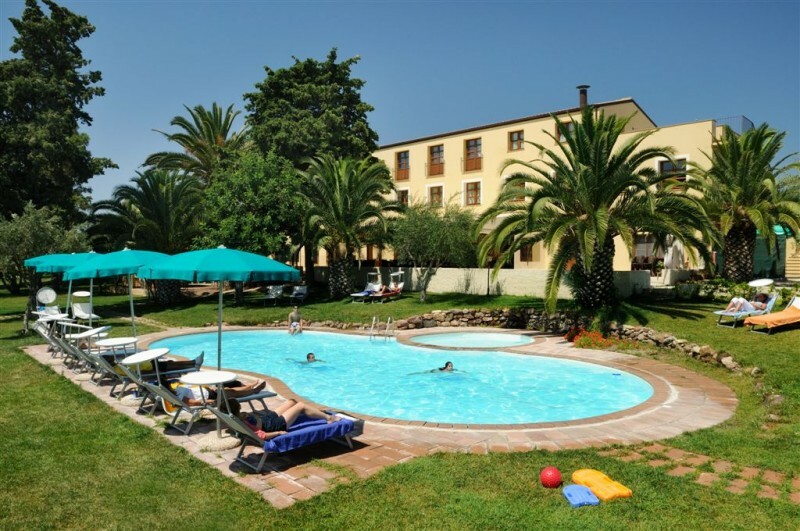 Alghero Resort Country Hotel offers also a Sports Center with two lighted tennis courts, outdoor pool, fitness area, wellness Spa, horseback riding and other activities in nature such as hiking and cycling. The hotel has small function rooms that can accomodate meetings, small groups, incentives, press conferences and a catering service is available for dinner, parties, coffee break and BBQ. 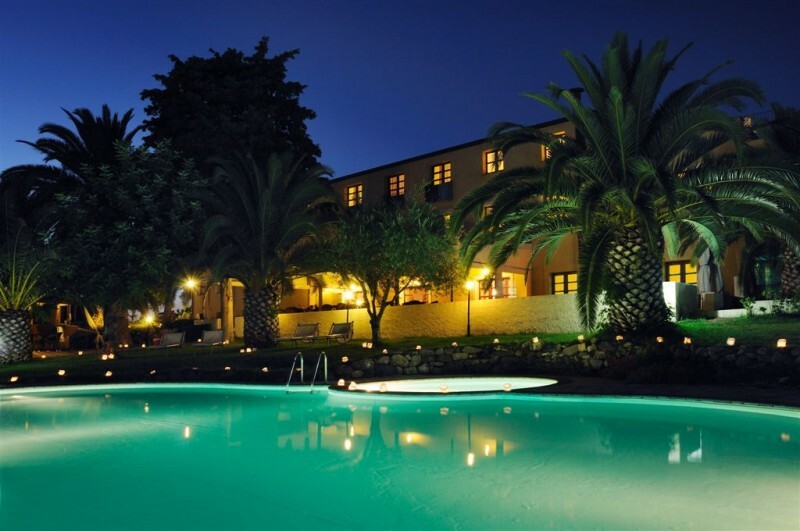 The Alghero Country Resort Hotel has beautiful areas like the patio with a panoramic view over the valley and garden with swimming pool. The kitchen menu offers refined cuisine with more traditional flavors of the Mediterranean and, of course, Sardinia. School and sea: Mother Nature, really a special teacher! A snorkeling experience in the Marine Protected Area of Capo Caccia-Isola Piana to learn about the marine environment and learn how to respect all the organisms that inhabit it. It’s the environmental education project “Via Mare” (by sea) which was organized by the experts of the AMP (Marine Protected Area) Capo Caccia -Isola Piana. From the end of May, hundreds of students from several schools of Alghero – from primary, secondary to high school – have put into practice the lessons that biologists of the AMP had in schools during the year. 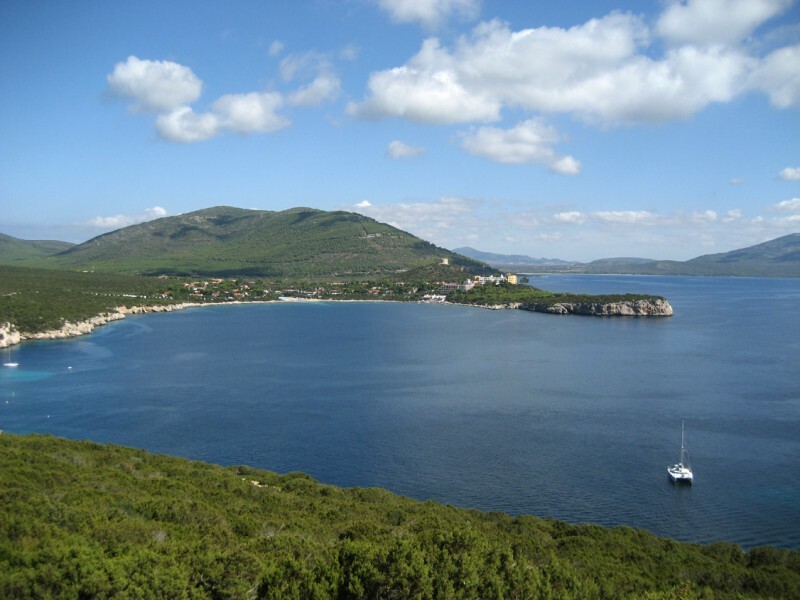 Excursion that allows you to live the history and culture of the area of Capo Caccia and the bay of Porto Conte, the ancient Roman Nymphaeus Portus, the harbor or bay of the Nymphs, naturally protected from strong winds Tramontana, Maestrale and Ponente. A place that had great strategic importance since ancient times. In the western side of the Bay of the Nymphs, on the shore, there is the Roman villa of Sant’Imbenia. The complex is located right next to the sea and archaeologists have unearthed 49 rooms distributed to almost 140 meters long. According to archaeologists, the villa was the retreat of a wealthy figure of that period, who dedicated himself to the so-called “otium”, which means the care of the spirit and the pleasures of the body. But it was also a safe landfall for people and goods. On board the kayak is it possible to reach and visit the most attractive places of the area like the coast of Sant’Imbenia, Pineta Mugoni and the beaches of Porto Conte. Departure and arrival: Tramariglio Bay, tourist center ArchiMete. 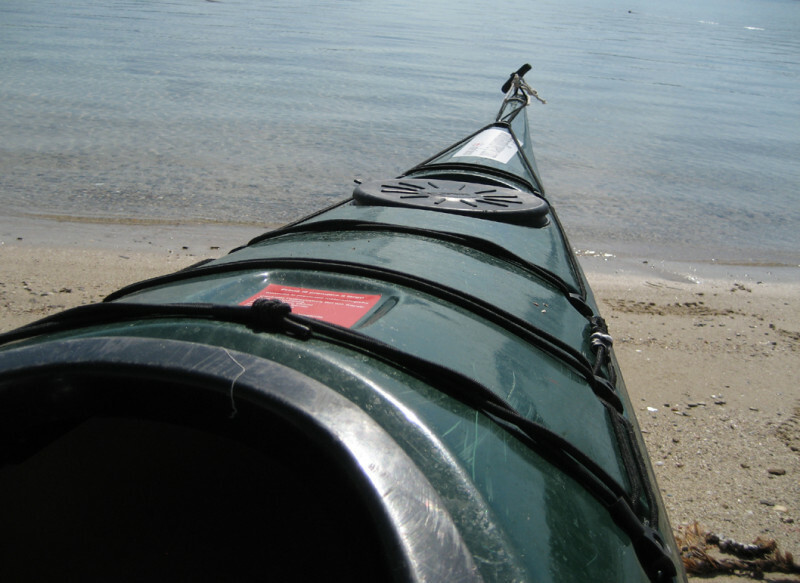 Route: easy and enjoyable, suitable for both amateur and experienced paddlers. Distance: about 11 km (5.5 nautical miles) round trip, for about 3 hours and a half trip with a break along the way. 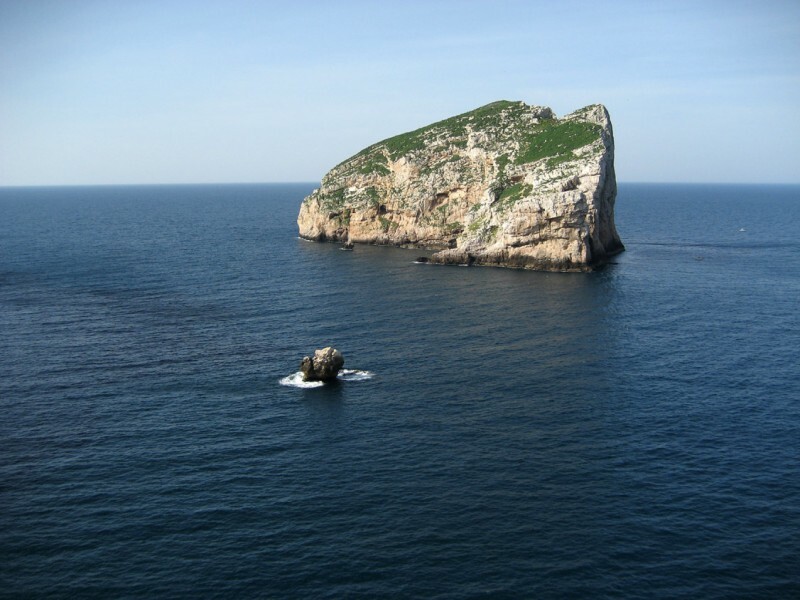 Capo Caccia, the “sleeping giant”, is the immense promontory symbol of Alghero and the Coral Riviera. It is among the most impressive of the Mediterranean, so that the Latins called it Caput Hermaeum. Over thousands of years nature has carved inside spectacular caves, both aerial and submerged: among them there is also the Nereo Cave, the largest cavity diving in the Mediterranean sea. 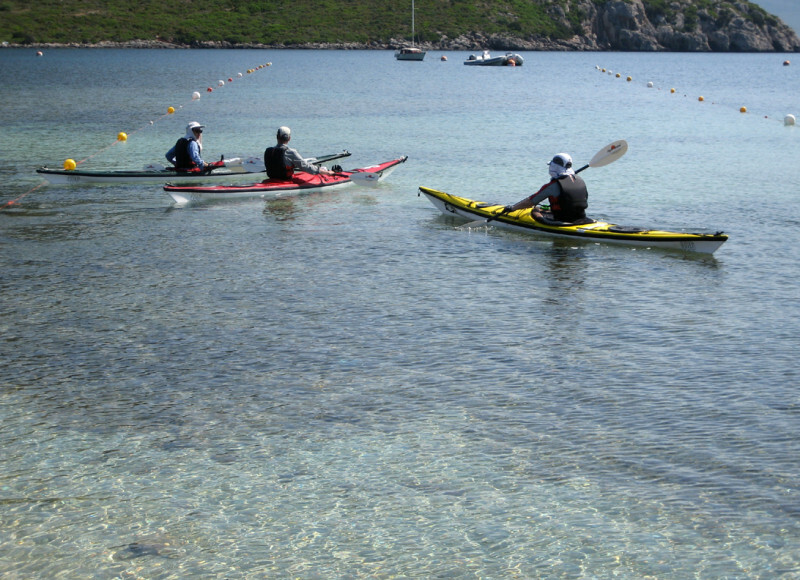 The kayaking route starts from the sheltered bay of Tramariglio and goes on the western side of the large fjord of Porto Conte, allowing you to enjoy beautiful places like the Tower of Tramariglio, natural pools of Cala Dragunara, the Torre del Bollo (Bollo tower), the Green Cave and the cliffs overlooking the sea at Capo Caccia. Rounded the Cape, there is the scenery of the island with its beautiful Foradada tunnel, and then coves and bays that nature has carved into the rock. Between a paddle and the other, visitor lives the history and legends, such as those related to the frequent incursions of pirates and corsairs in the past centuries. Distance: about 13 km (7 nautical miles) round trip, for about 3 hours and a half trip with a break at Cala Inferno. 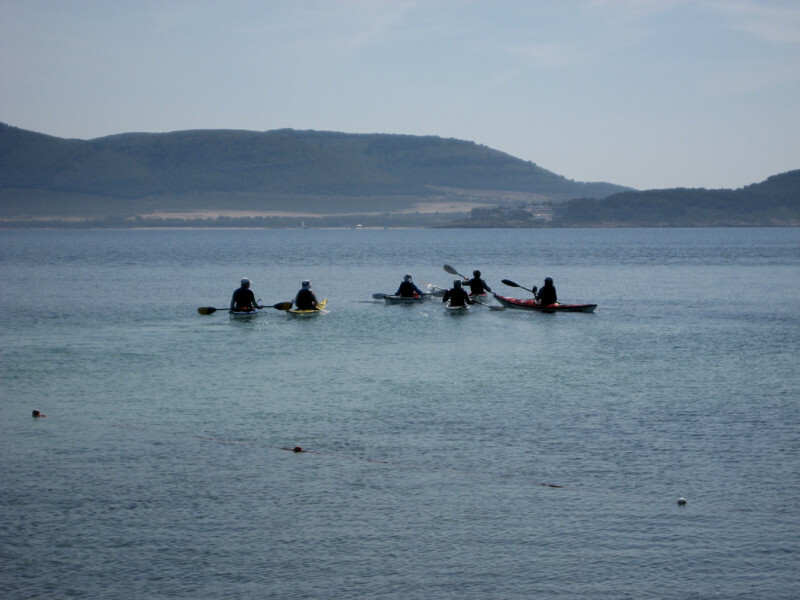 The route embraces the whole western side of the Park of Porto Conte and the marine protected area of Capo Caccia. A tour that reaches some of the landmarks and the most charming district of Alghero. Here the nature blends the charm of history: the stories and legends of pirates that, in the past centuries, infested the sea around Sardinia and in particular to Capo Caccia, an area full of inlets and natural coves, but also of the boats that brought ashore the precious coral, really a “red gold”. The stories of pirates merge with legends, like those of beautiful sirens darting on the surface of the sea. Probably dolphins, mammals that even today it is frequent to meet while you paddle on this sea turquoise. 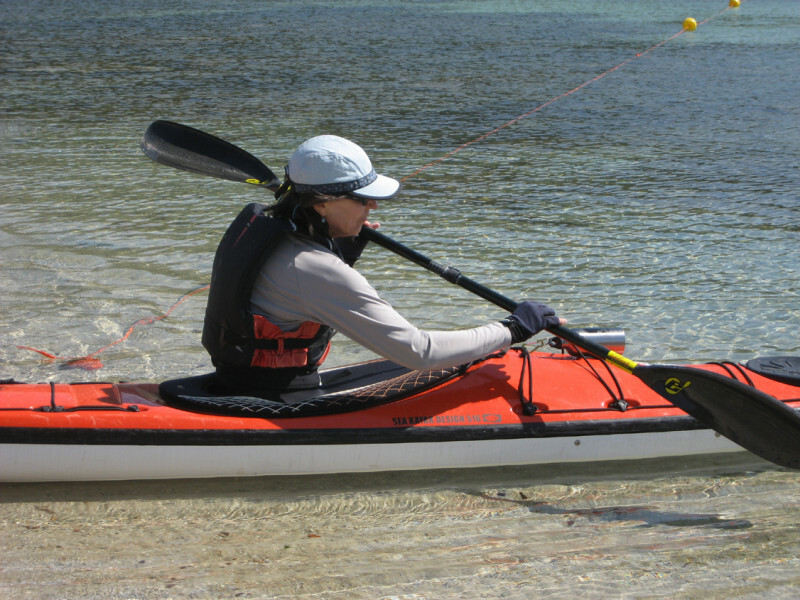 The kayaking route starts from the sheltered bay of Tramariglio and goes on the western side of the large fjord Porto Conte allowing you to enjoy beautiful places like the Tower of Tramariglio, natural pools of Cala Dragunara, the Bollo Tower, the Green Cave, the cliffs of Capo Caccia, the island with its beautiful Foradada Tunnel, Cala Inferno, and then to Cala Puntetta and the Piana Island. Distance: about 22 km (11.8 nautical miles) round trip, for about 6 hours and a half trip with lunch break at Cala Inferno. Suggestive kayaking tour to live intense emotions in the sea of the great natural fjord of Porto Conte. The Bramassa, in particular, is a delightful beach of pebbles and rocks that are reflected on a sea turquoise-blue. Landing with kayak here is always exciting, both for the environment, quiet and full of Mediterranean bush, and the uniqueness of the place. Halt the paddle and lean out the head on the surface of the sea to enjoy the wonders of the underwater seabed, rich in flora and fauna. On the other side stands the shape of the “Sleeping Giant”, the cliffs of Capo Caccia, which is the symbol of the Coral coast of Alghero. The Bramassa is also a popular destination for snorkeling and hiking. From here, in fact, starts a series of trails that leads to Giglio Point. Distance: about 10 km (5 nautical miles) round trip, for about 3 hours and a half trip with a break along the way. 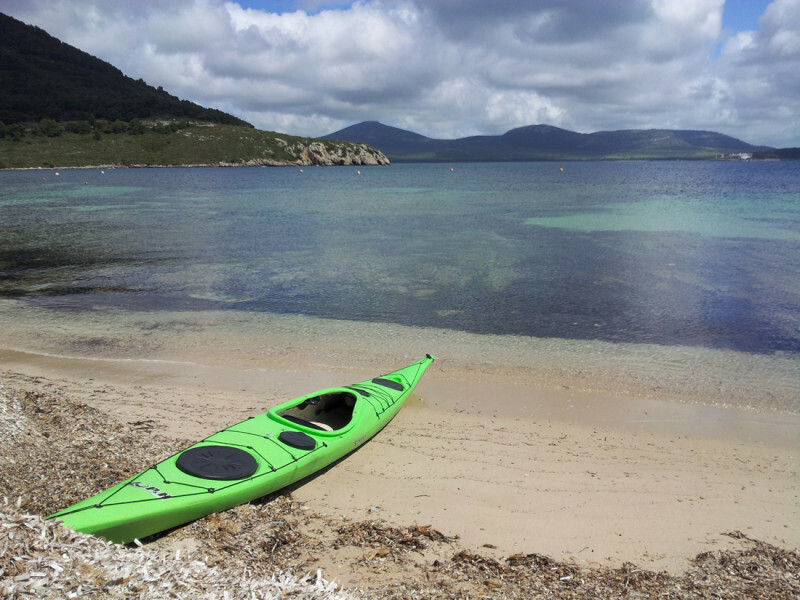 Full day excursion that allows kayakers to live the south east coast of the Natural park of Porto Conte and Marine Area of Capo Caccia and Isola Piana. After crossing the bay of Porto Conte, kayakers reach Giglio Point and the series of coves and bays that makes a unique and beautiful coastline between Capo Caccia and the bay of Alghero. The Lazaret is a beautiful natural oasis just steps from the famous Bombarde beach. The name is due to the building built in 1722 by the viceroy baron Filippo Guglielmo Pallavicino of San Remy with the aim of preventing any infection of the plague and be a support to vessels in quarantine. 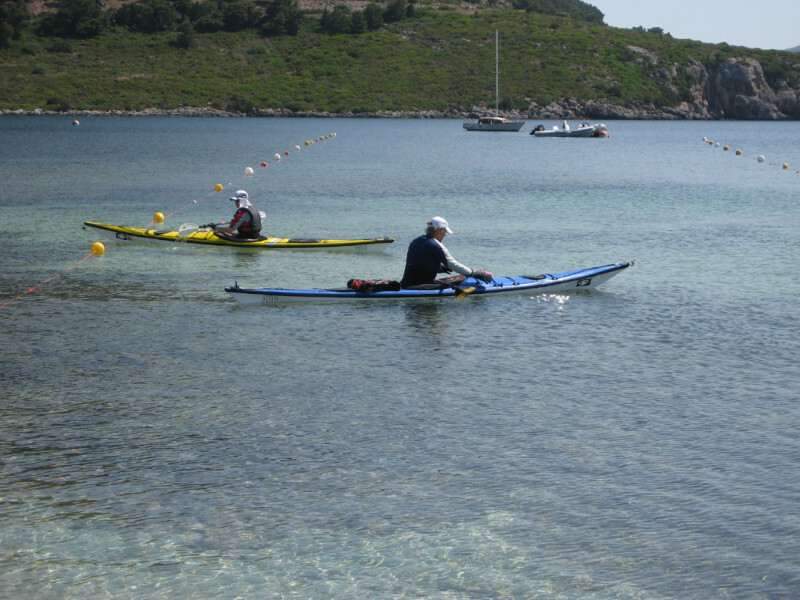 Route: enjoyable, suitable for both amateur and experienced paddlers. Distance: about 18 km (9,7 nautical miles) round trip, for about 6 hours and a half trip with lunch break along the way. Sardinia, an Island for all seasons. Bitas 2013, active tourism is served. 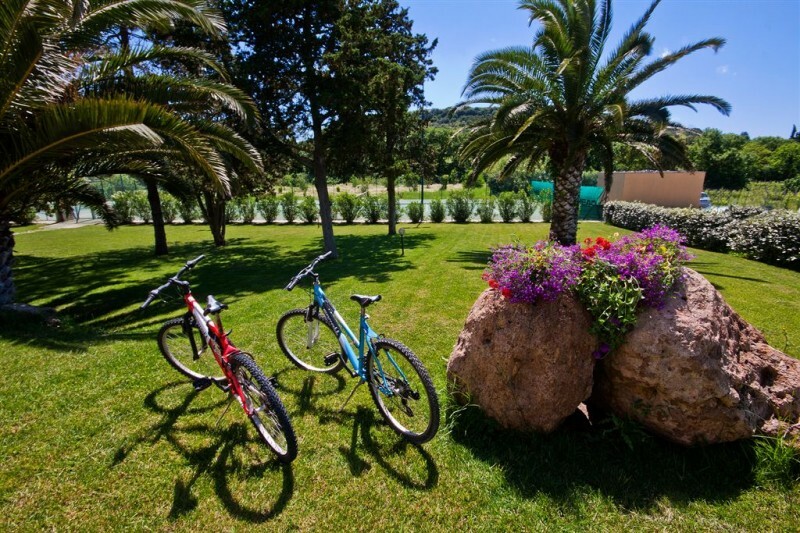 The Active tourism is the “flagship” of touristic offer in Sardinia, a region that proposes many opportunities to live a period of fun and relax in outdoor activities and wonderful natural environments. Touristic, but also economic, we might add. Because tourism is a precious sector for the development of our beautiful Island and the national economy in general. The aim of the event is to promote and boost active tourism as one of the major events backing the purpose of developing an “all year long tourism season” in Sardinia. So tourists have the opportunity to have fun with scuba diving, snorkeling tour, kayaking, hiking, Nordic walking, horse riding, sailing and many other outdoor activities. In active tourism, many touristic companies decided to study and develop new ideas and projects. For example the Technological Multisport Week (TMW), multisport week supported by advanced technologies and developed together Area 3 – A Human Motion Lab and Aqvatech Engineering, companies both operating in the Science and Technology Park of “Porto Conte Ricerche”, at Capo Caccia-Alghero. 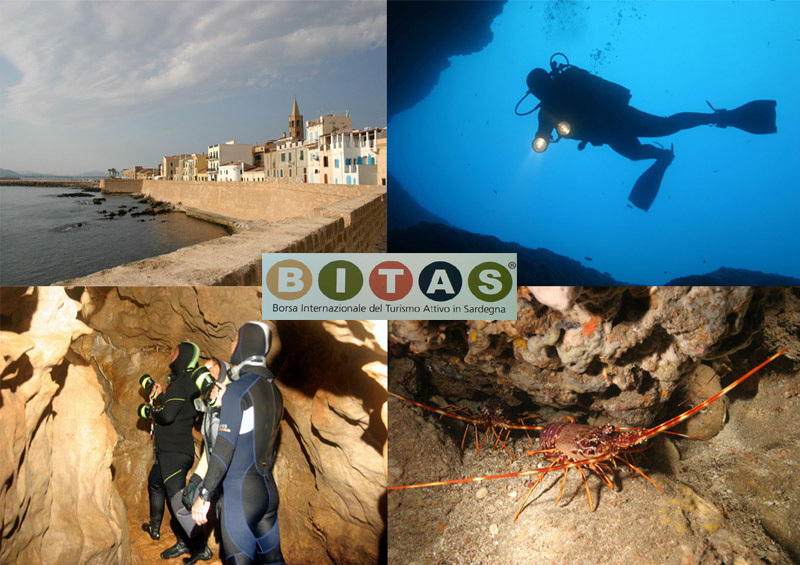 BITAS is a strategic fair for the next tourist season and the hope is that the participation of tourism companies is a further incentive to improve infrastructures and networks for a sector that for Sardinia is simply essential. For further information please send an e-mail to the following e-mail address archimete@archimete.it, specifying the term “info on the stay” in the subject. 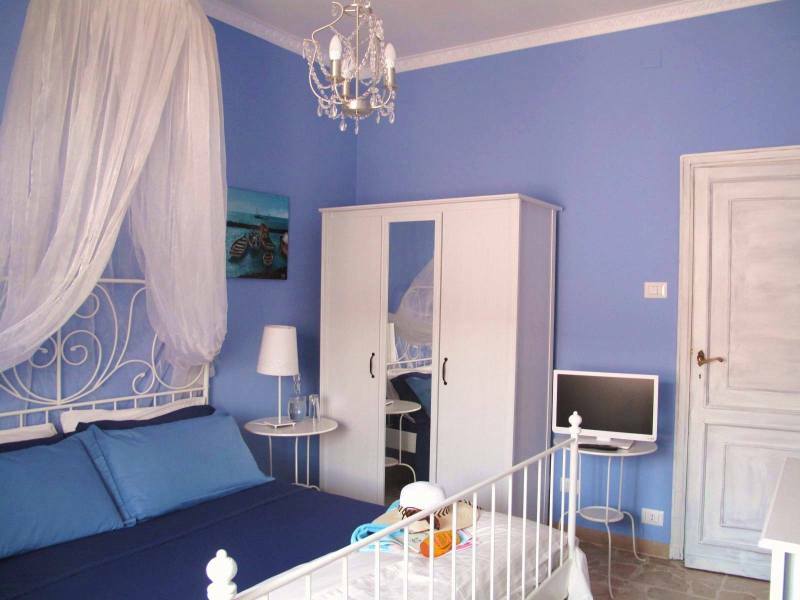 Price includes: stay at B&B Sa Branda, with bed&breakfast formula, 2 snorkeling tours in the Marine Protected Area*; 1 trekking excursion in the Nature Park of Porto Conte; 3 snacks; shuttle service to accommodation and activities. Number of participants: minimum 2. Request a quotation for July and August, or if you need another accommodation for the stay.